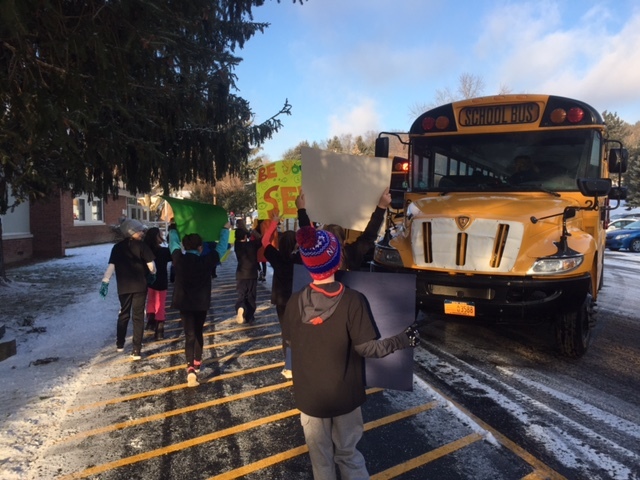 As students arrived to Green Meadow Elementary School on Thursday morning, 4th grade teacher Jaimee Kusche and her class were outside on the sidewalk to give a nice warm welcome to fellow students, staff and bus drivers. 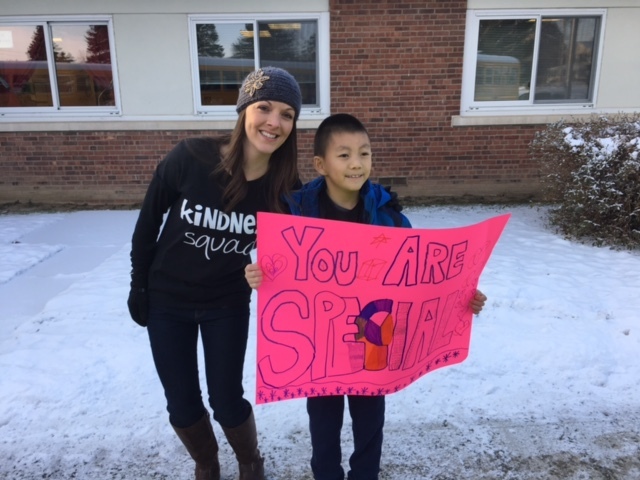 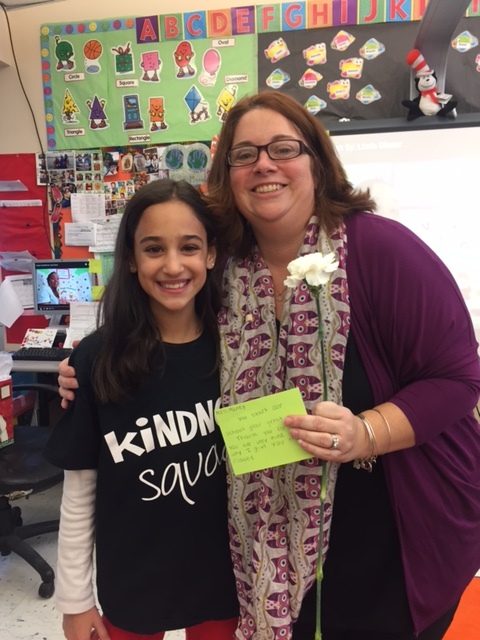 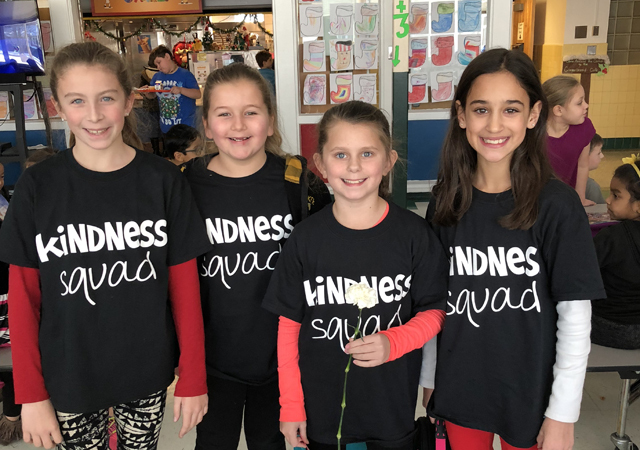 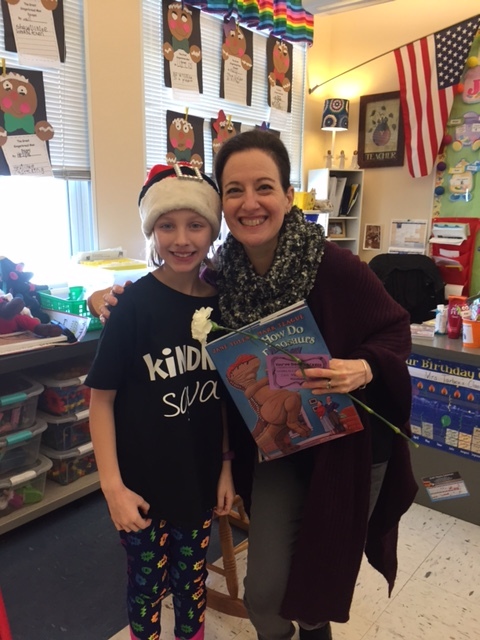 Wearing shirts that said “Kindness Squad,” the class held up inspirational signs, gave carnations to staff, handed out hot coffee to bus drivers and offered high fives and smiles to students. 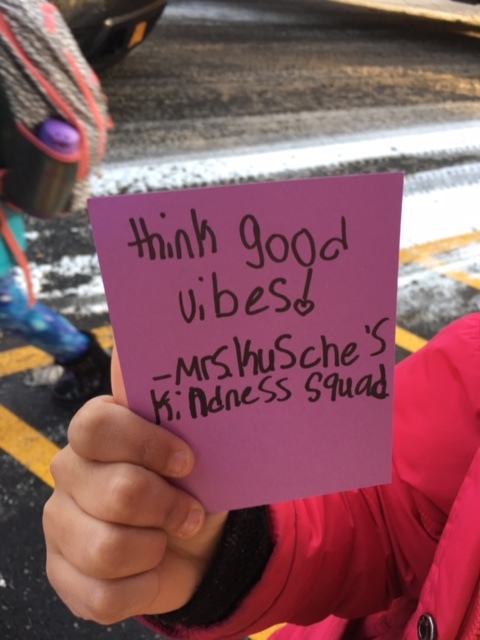 “My class had a great time delivering kindness to our school community this morning,” Mrs. Kusche said.